“I am very very happy,” said Lukyanuk. “Thanks to Pirelli for tyres, everything worked well with no big problems so quite good for us,” he added. Behind Gryazin, a late turn of speed decided an epic battle for the final podium position between ERC Junior U28 drivers Fabian Kreim and José Suárez. Kreim had edged ahead early on today after taking third place on Friday night, and though Suárez, in a Hyundai Motor España i20 R5, retaliated just before midday service, ŠKODA AUTO Deutschland-backed Kreim confirmed his first ever ERC podium finish with a storming drive through the rally’s final stage. 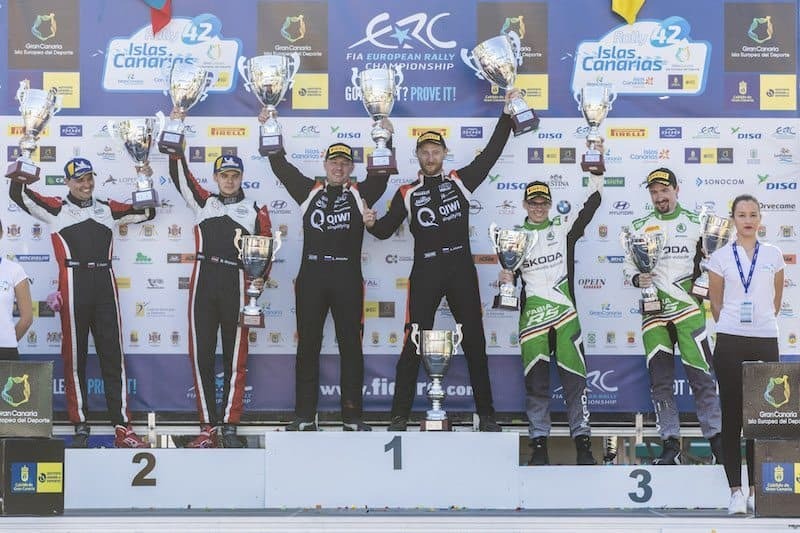 ERC Junior Experience graduate Laurent Pellier capped a fantastic second ERC appearance with a top five overall finish, following on from his first ever stage win in Friday morning’s second test. PEUGEOT Rally Academy’s young star also recorded his first top five in ERC Junior U28, coming fourth and only 1.5s behind third placed Suárez. 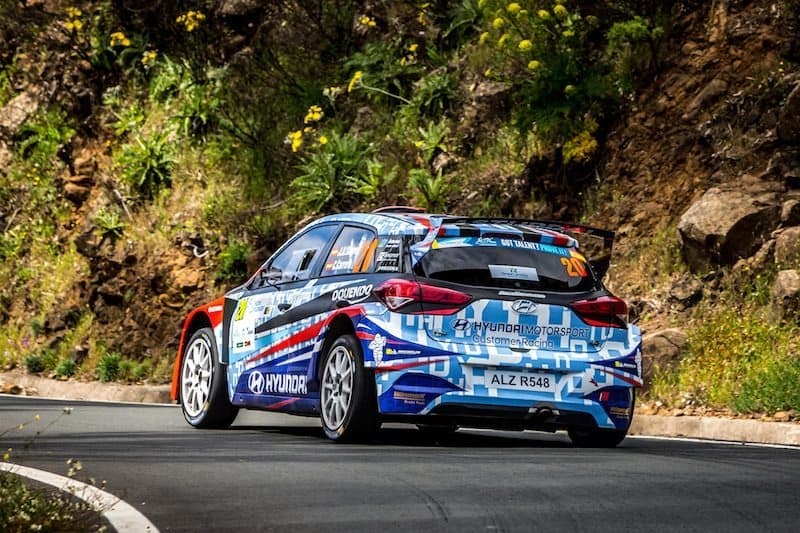 Tibor Érdi Jr recovered from his Azores Airlines Rallye exit to dominate ERC2 by going fastest on all but one stage, and with round one winner Juan Carlos Alonso failing to finish due to a technical issue, Érdi Jr’s title defence is back on track, despite a throttle fault causing him to stop three times on the last run to make emergency repairs.